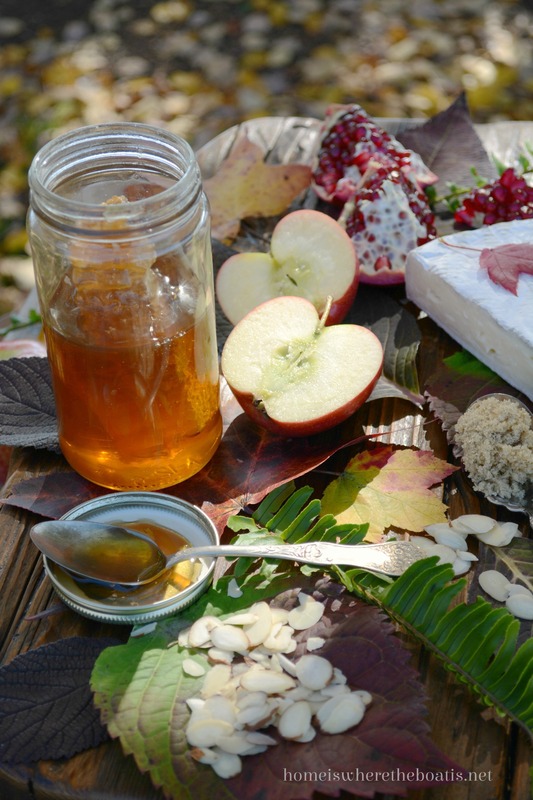 The Novel Bakers have been foraging and feasting this week with inspiration from The Forest Feast: Simple Vegetarian Recipes from My Cabin in the Woods by Erin Gleeson. 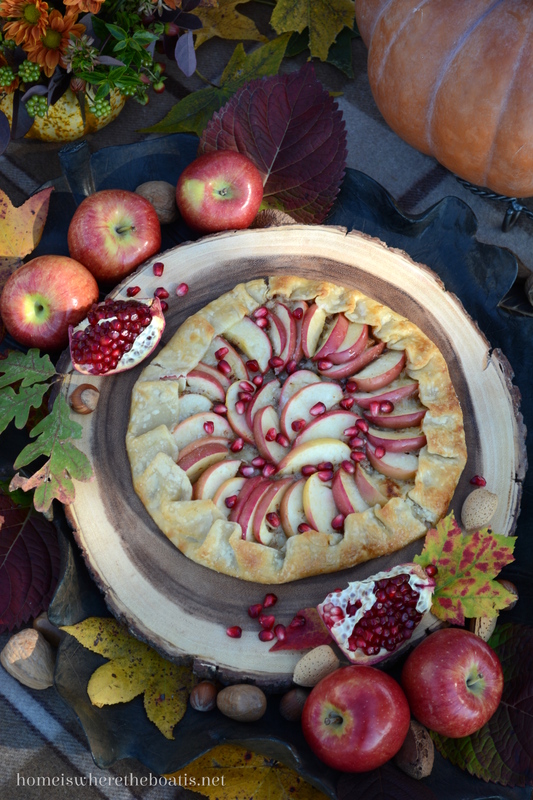 I’m ending this week on a sweet note, Apple & Honey Galette with Brie and Pomegranate Seeds. This is another easy and delicious recipe you can whip up using store-bought pie dough and just a few ingredients. Galettes are easy, free-form, rustic tarts made with a single crust of pastry. 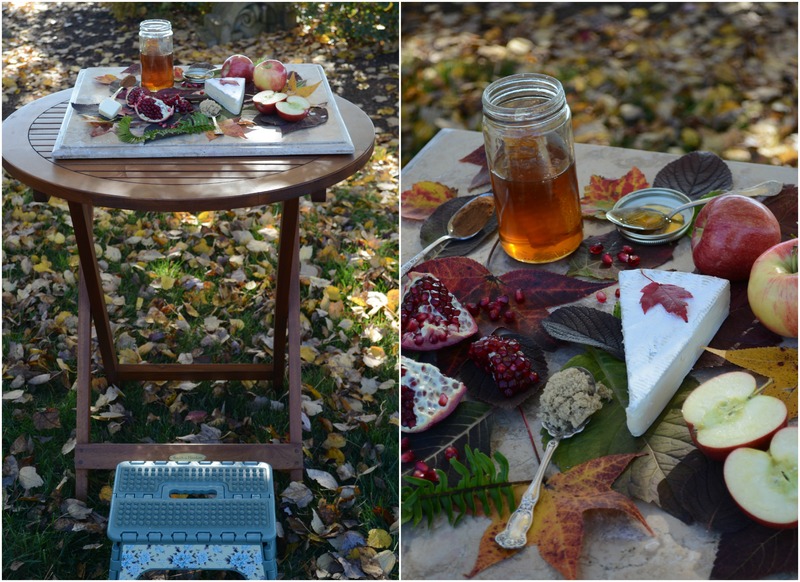 Along with a slice of Galette, I thought I’d serve up some behind the scenes photo tips and The Forest Feast cover photo shoot. Erin Gleeson took the cover photo standing on a chair in her backyard. A blank canvas was surrounded with flowers from the farmers market and dishes from the cookbook. The watercolor title was later scanned and Photoshopped onto the layout. Secret: It’s ALL about the light. I prefer to take food photos with the natural light on our screened porch. This time of the year the light is unpredictable, so I’m either chasing it when it’s too dark or trying to avoid it since it’s lower in the horizon and it comes in at a strange angle making things look harsh and washing them out. Taking photos of a table outdoors is always challenging, too much sunlight or not enough, but morning is usually the best time of day. I don’t use a tripod, but I usually always use a step stool to stand on, either a little collapsible one that’s easily portable, about 9 inches tall or a taller 3-step version to shoot down from. Sometimes just standing on the first step of a stool is enough height to change the perspective of what you’re shooting, so you’re looking down rather than across your subject, and improves your photo. I have an older Nikon D60 and use a 18-55mm AF-S Nikkor zoom lens most of the time and just recently added a Nikon 35mm lens. I always edit my photos and use Picasa (free download) and PicMonkey (free, no download). Sometimes you have to boost the light and edit the exposure and a little cropping or a little straightening helps too. I moved a small table outside to take advantage of the filtered light from under the tree. 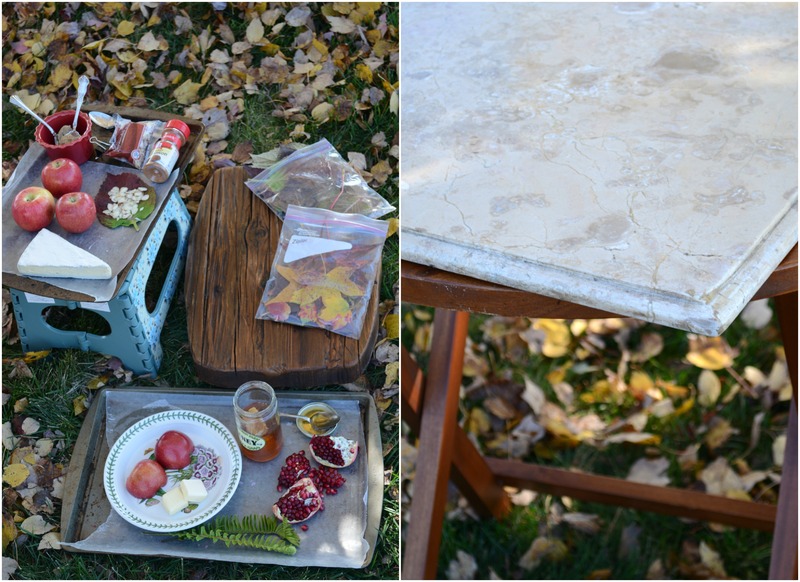 I took the tabletop off the my small side table on the porch for a solid surface to sit on top the other table, along with a wooden board and took several test shots to see which I liked . Top your pie crust with Brie, brown sugar, sliced almonds and cinnamon. Top next with thinly sliced apples (peeled or unpeeled). Drizzle the top with honey, dot with butter, and fold edges over to form your crust. I brushed the crust with egg wash (egg beaten with a little water) and sprinkled a little sugar on the pie crust edge. Bake at 375 degrees 20 -25 minutes until crust is golden. Allow to cool and firm up slightly before cutting and garnish with pomegranate seeds. Feast with Jain and Michael Lee. . . This will probably help sell a few more cookbooks! I have this book and bought a few more for Christmas gifts :-) thanks for all you do! Beautiful presentation. 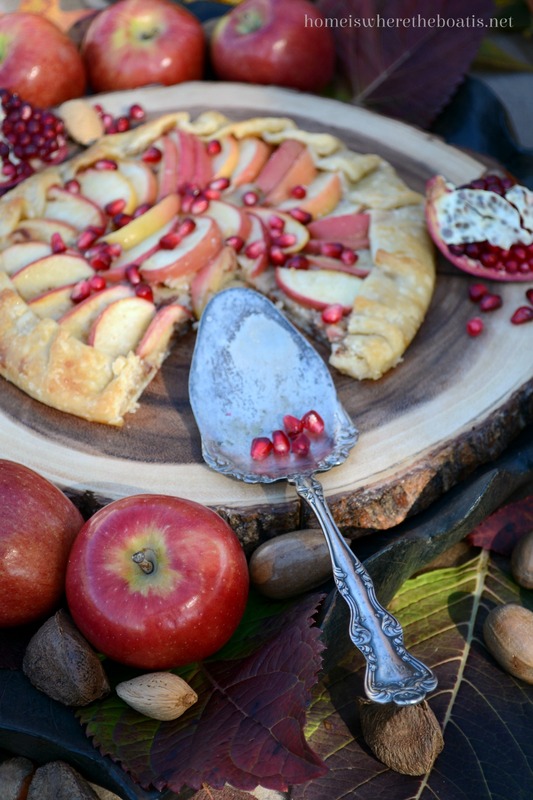 This galette sounds heavenly. Your photographs, as always, are just right. Thanks for all the tips! 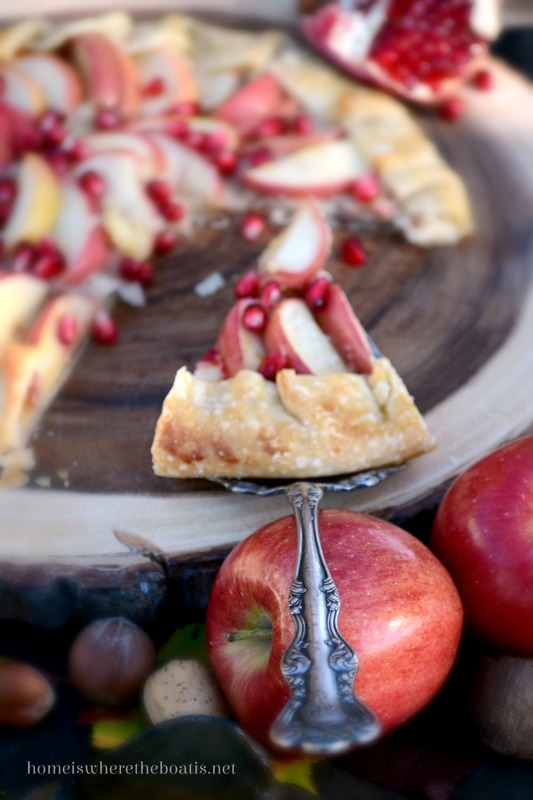 This “Galette” will definitely be on the dessert table at some point this coming week! We will be doing a lot of entertainming this coming month and know it will be a hit. I will get the cook book, too! Have a great weekend! How PRETTY!!! Thanks so much for sharing your tips on getting all those beautiful shots, Mary. You can tell you put a great deal of time & thought into creating & then capturing these scenes. It isn’t easy!! 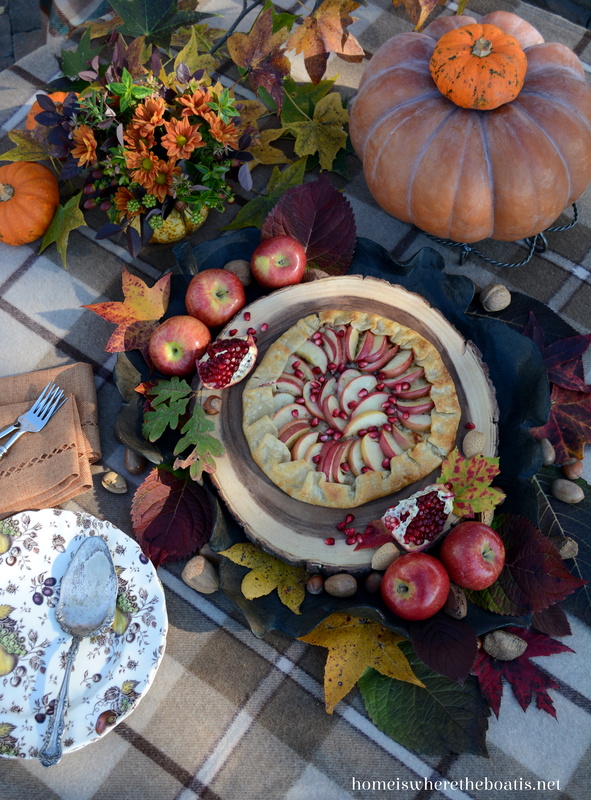 I made a similar galette with pears a loooong time ago….it was tasteless & very disappointing, so I never tried again. You have made me want to revisit the technique with this combination. Thanks so much…DH will thank you, too! Everything you do is so beautiful. 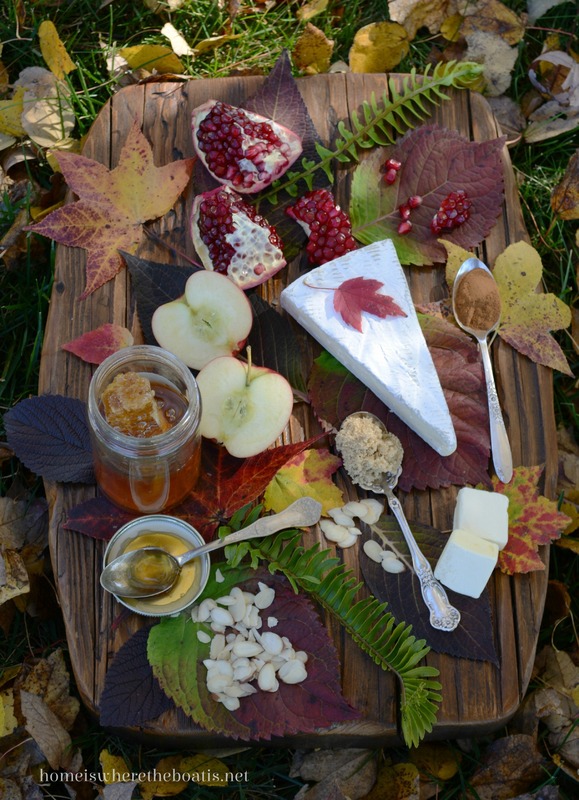 Thanks so much for the lovely photos and delicious inspiration. 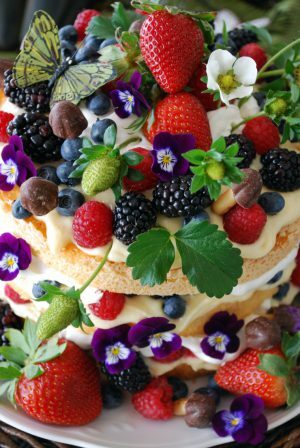 You have a “Fairy” soul Lady…… Let’s dance through the ferns and moss and nibble magical noshes……………..
Bought the cookbook after seeing it on your blog. It is every bit as beautiful and yummy as you said! 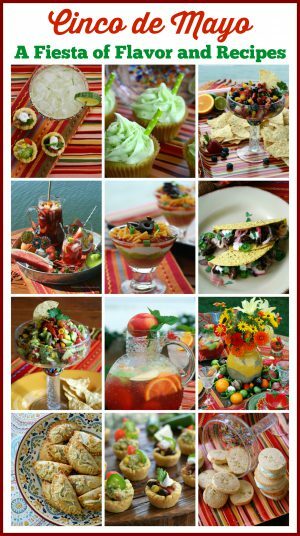 Your photos make my mouth water on today’s blog. 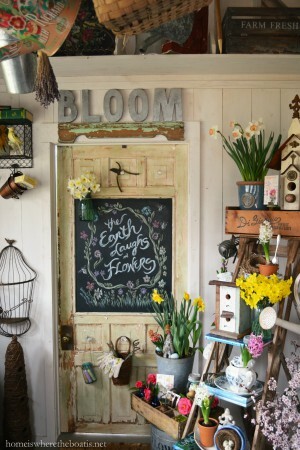 You did the book proud, Mary…Your photos are always stunning! I am ordering Erin’s book today. Can’t wait to get it. Your posts must make her very proud. I was very interested in how she photographed her cover. Thanks a million for your photo tips. I can use all the help I can get. PLEASE keep them coming. Your styling today is so exceptional. Such a fun week reading the NB posts. It has been a delightful feast. 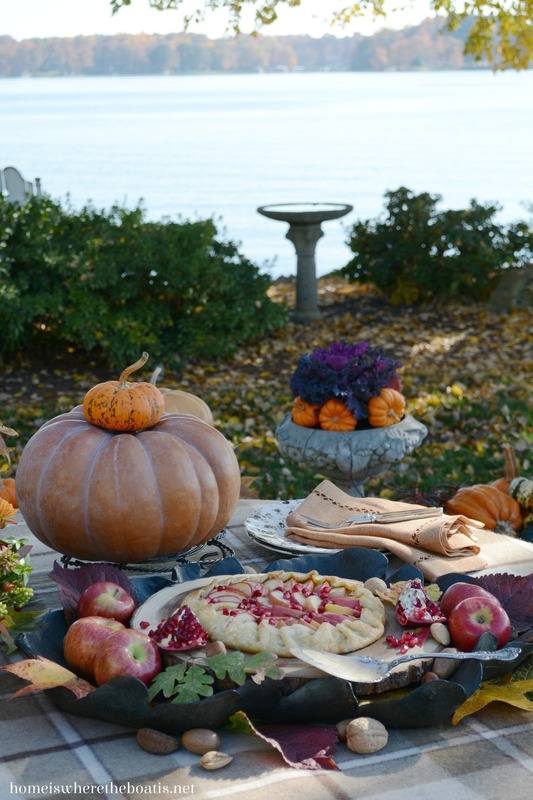 That apple galette is calling my name today and since it is not hard I am going to make it soon. 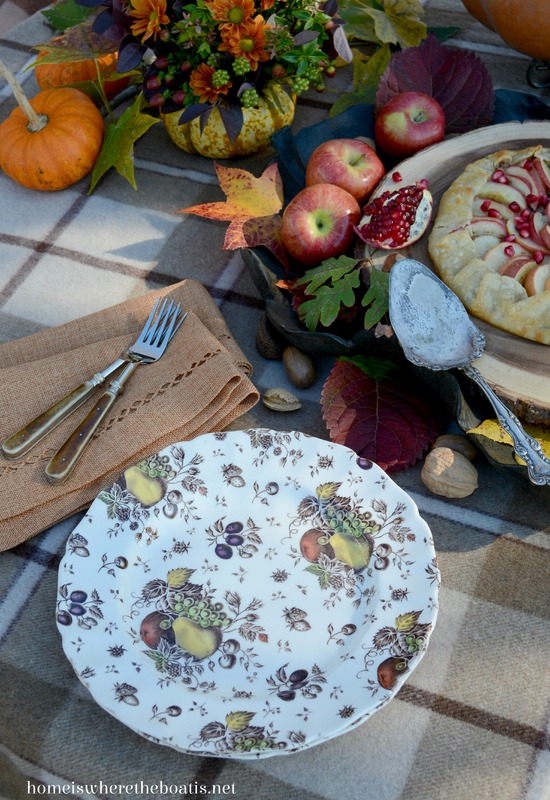 I am working on a post using the Mikasa Antique White Holiday Berries dishes from your generous giveaway last Christmas. You are a hard act to follow but I am giving it a shot. I loved winning!!!!! THANK YOU AGAIN! 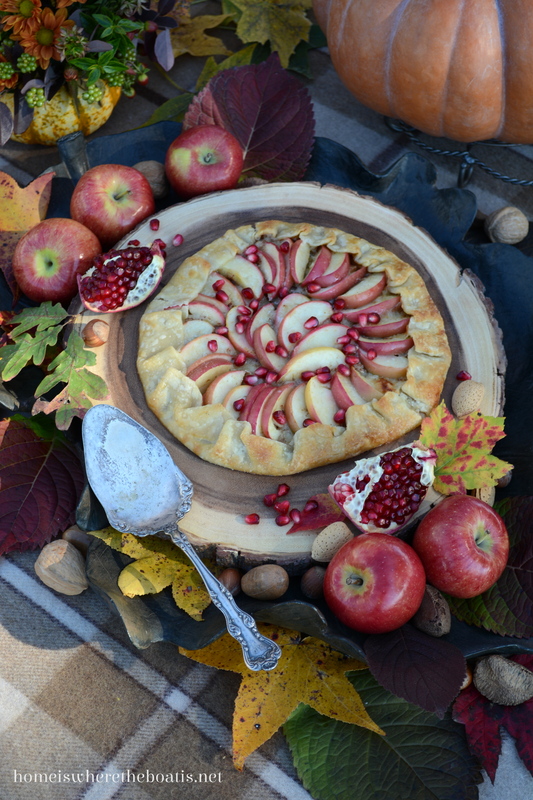 I love the rustic appearance of a galette, Mary, and yours is so pretty! Thanks for all your tips on how you style your photos and the use of the step stool and the light. You’re the best! You always create the most stunning scenes for your food creations….Now I expected to see your shoes in one of the shots….I have never made a galette…but that is on my do to list…thanks for the photography tips…I find the lighting is always a bear to deal with..it always seems like when you are ready to photograph, the light is not very cooperative…I love the way you used the throws on the table and chairs…so beautiful….Have a great weekend Mary!! Beautiful as always. 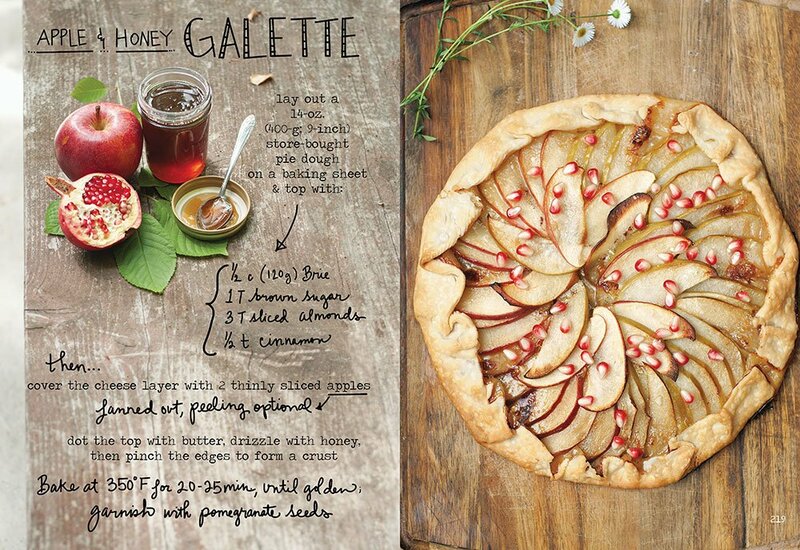 I am going to try the galette tomorrow. Absolutely beautiful photography, as always!! Thanks for sharing your tips, and for your always inspiring posts. I’m going to try the galette. what a great addition to your finale, i love the extra mile you shared with both of yours behind the scenes shots. i am quite surprised the book was photoshopped in, shows how little i know… your so cute with your foot stool, ah the joys of level living, that is NOT an option at my house, living on a hill being upright is always a challenge! 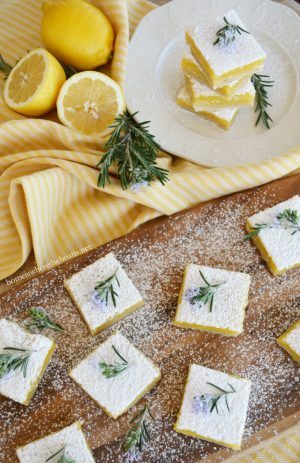 i loved loved LOVED how you shared the visual recipe! wasn’t it a delish tart too. A stunning finale to Novel Baker Week. Your galette looks scrumptious, and the photos are magical and alluring, summoning images of fairy rings and enchanted cooking. 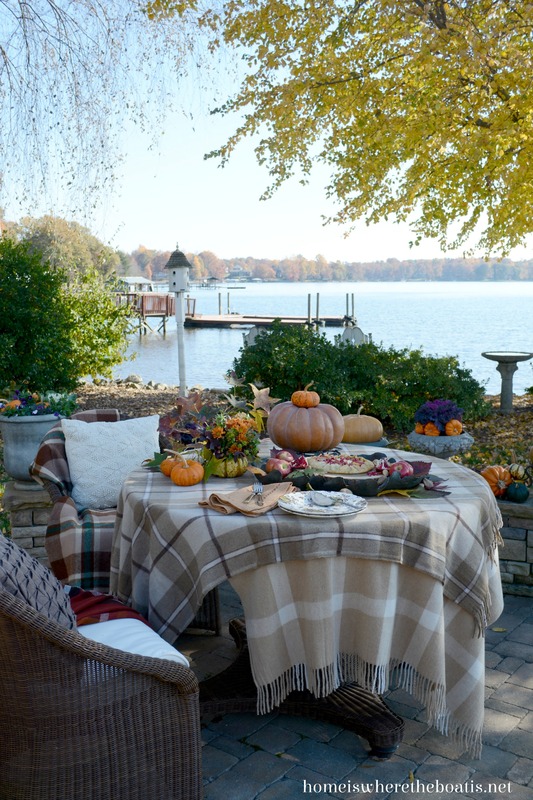 Love your criss-crossed tartans on your table, the scrumptious apple vignettes, the step-by-step photos, the view of the lake, just everything! I haven’t made the tart, as Dr. W is on a strict diet, but I may make one for a friend. It’s too scrumptious to miss. 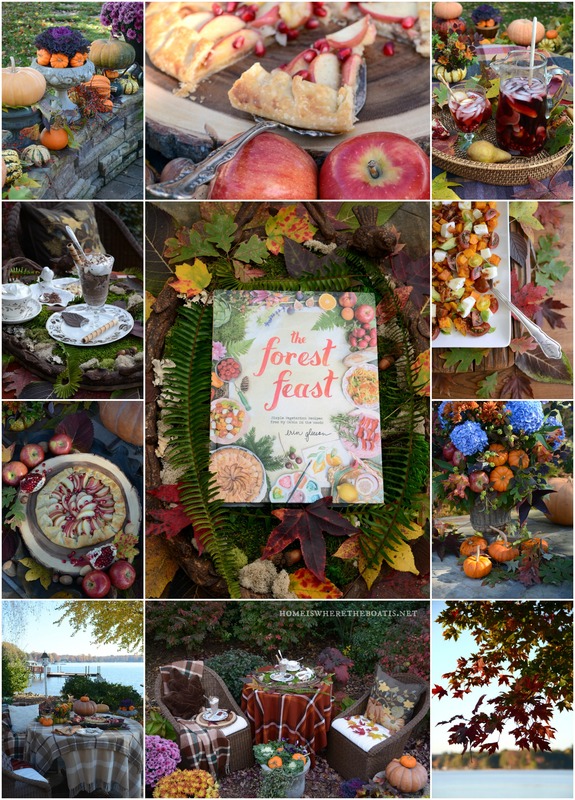 The Forest Feast week may be ending, but the joy will last year round as I remember your beautiful, evocative posts. Have a splendid weekend! I could not resist ordering the book! I am so pleased! It is absolutely fabulous in every way! I am so inspired! Thank you Mary for making my day each and every day! You are such a blessing! Hello. 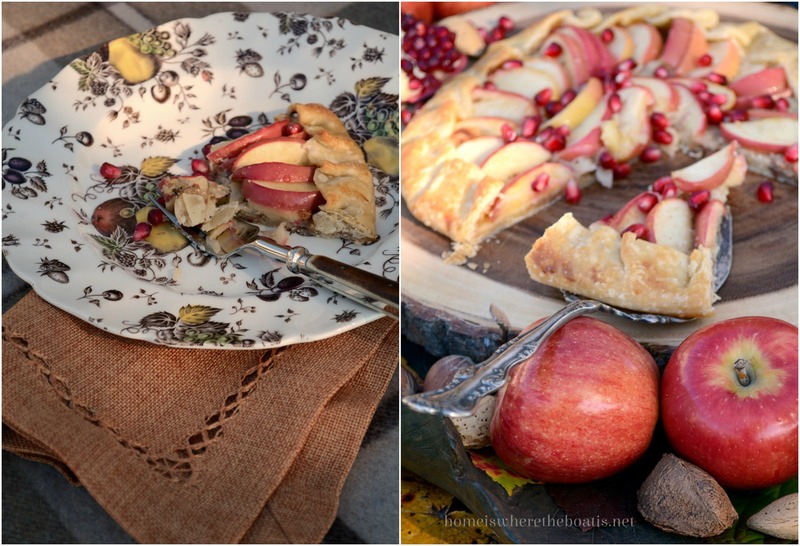 I love the gorgeous photos and can’t wait to make the galette. I have a question. Did you use a whole wheel of brie or cut it up? 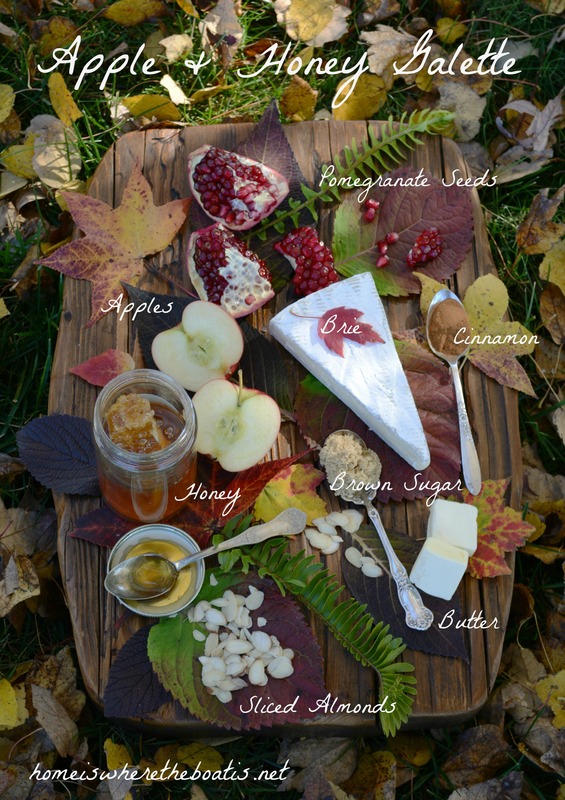 I didn’t see the actual brie in the photo, so I wasn’t sure what you used. I also thought a 4 oz. brie seemed kind of small for the size of the galette. Please clarify and I will make it soon! Thanks so much for the inspiring recipes! This looks amazing! Do you remove the rind from the cheese or use it whole? Thank you! Mary!! You are the absolute BEST!! I love everything you do! !